Pagan events | QuantumPhoenix.net – Esoterica, Paganism & Ritual Magic. QuantumPhoenix.net – Esoterica, Paganism & Ritual Magic. Pan – the woodland God of Fertility- returns after a gap of 3 years, to grace us with his energy of fun & frolics! Our last Pan’s Picnic took place in 2011 (ran for 3 years) but took a break, only to appear in pagan Pride Parade in 2011, and briefly in 2013 as part of the Hern’s Tribe Swearing n the Horns Ceremony. But finally it is time.. This event will take place at Queen’s Woods – birth place of Pan’s Picnic, within the space of 13 Oaks known as The Witche’s Coven..It’s an afternoon affair – So bring your drums, your dreams, fun & frolics, food & drinks, and those you fancy.. Come to dance, to sing, to chant, to charm .. Bring masks, banners, picnic blankets & seats, sets, props, flowers & feasts..Come..rain or shine.. with love in your hearts, and laughter on your lips..
eBook: Eclipse Magic – Stellar Engineer your life! 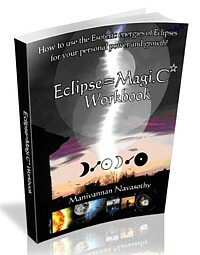 Eclipse Magic Workbook (extensive)- world’s first book on working directly and magically with energies of Solar and Lunar Eclipses. Suitable for anyone with no knowledge of high magic. Builds from introductions to all relevant subject matters to extensive star magic exercises. 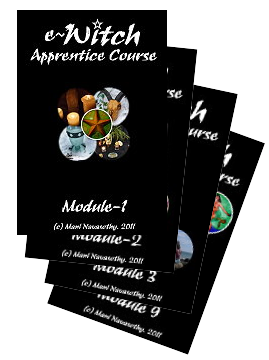 e-Witch Apprentice: Wicca Study Course at home! Elements Invocation Pentagrams in Wicca explained with detailed astrology graphics. Pan & Aphrodite Chants - for some Valentine Love magic! Extinction Rebellion: Possible pitfalls & personal concerns..
Video: An it harm none..?